The list below gives the names of each Chakra, the body part it corresponds to, its color, and the mantra for that particular Chakra. What are Chakras? The above-shown Chakra Chart shows the seven different Chakras and their locations in the physical body. Chakras are considered to be metaphysical and/or biophysical energy centers located along the spine at major branches of the human nervous system, beginning at the base of the spinal column, moving upward at seven different points to the top of the skull. They connect the mind, body and spiritual energies. They are sometimes referred to as spiraling wheels or vortexes, with each one relating to the others, as well as relating to the spine, central nervous system, organs and glands. Each Chakra resembles a colored wheel that spins in a clockwise direction and each Chakra is thought to spin at a different rate or frequency. The Chakras emit currents that carry a spectrum of light, color and frequency, and although not observable, these energies have a powerful impact on our physical, psychological and spiritual well-being and mirror our evolutionary state. These energies are at the quantum level holding trace memories from past lives and act as input centers for the cells of the human body. When the Chakras are activated and balanced, we stimulate the optimum release of powerful energies, giving rise to feelings of well being, mental clarity and enhanced intuition. The concept of the Chakras is thought of and conceptualized differently according to varying cultures. Chakras are a common concept in traditional Oriental medicine and many disciplines of alternative medicine. Energy healing and Chakra balancing are some of the oldest methods of treatment of physical illness. In these approaches, the healer uses universal energy that is directed into the body. The Chakras become balanced as a result of varying means; putting awareness on them through meditation, sound, imagery, crystals and light. Illness and health problems occur because of obstruction to the flow of vital energy in the body. Our energy body (or aura) starts from inside the physical body and spreads outwards to envelop the body, creating an outline. Our energy is measurable and in certain instances can be seen changing through these healing modalities. Trauma, physical and emotional injuries, limited belief systems, cultural conditioning, restrictive or bad habits, or even just a lack of attention, all contribute to Chakra energy blockage. The Crown Chakra, shown at the head of the above Chakra Chart, also referred to as the thousand petal lotus, includes the counterparts of the six other Chakras, and is the Chakra that soaks up powerful energy from the supreme cosmic consciousness. 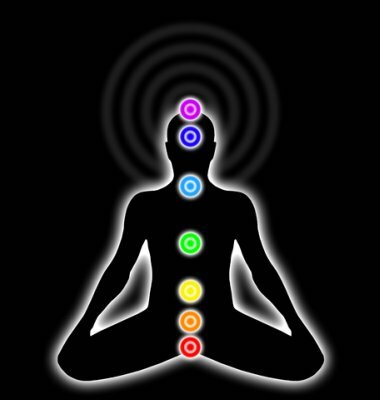 Performing Chakra cleansing and balancing will help with optimum health, energy and vitality. You are a divine being of great light, and within every human being lies the seeds of enlightenment. ModernChakra.com Chakra Charts The wonderful website at this link will give you a beautiful Chakra Chart to use. Understanding chakra energy centers, chakra balancing, and other Eastern philosophies and practices like meditation, will improve the quality of your life and bring happiness and serenity to your personal journey.